The City of Joburg says Fibrehoods and Vumatel have not produced a mapping of their aerial fibre. The City of Johannesburg (COJ) has launched a forensic investigation into the circumstances around the Altivex 705 cell mast contract with the Johannesburg Property Company (JPC). In a press statement, the city says it is in the process of taking criminal and disciplinary action against one current and one former city employee. In 2013, JPC entered into a contract with Altivex 705. COJ says the contract required Altivex 705 to conduct an analysis of the cell mast industry and produce a master plan for regulating cell mast applications involving city-owned street poles. Further to this, Altivex 705 was required to process applications from cell mast companies on behalf of the city, it notes. According to COJ, this agreement did not in any way allow Altivex 705 to install aerial fibre or cede rights contained in the original contract, and the proposed master plan has not seen the light of day. As a result, JPC notified Altivex 705 of its breach of contract in April 2017, COJ adds. Altivex 705 subsequently ceded its contract to Fibrehoods, which in turn ceded its contract to Vumatel. Altivex 705, Fibrehoods and Vumatel were all subsidiaries of the Waterfall Group. Vumatel has claimed Waterfall's holding in all three companies has been bought out. However, COJ says it has yet to see proof of this. The city says two employees, one from JPC and one from City Power, issued fraudulent letters stating Fibrehoods/Vumatel have a valid agreement with the city that allows them to roll-out aerial fibre city-wide. These letters were used to convince the Johannesburg Roads Agency (JRA) to issue way leaves on demand, it explains. The contract does not have a specific value but Altivex is meant to pay a commission to JPC based on cell mast approvals. Leah Knott, Johannesburg's MMC for Economic Development, says in August of 2017, City Power notified Fibrehoods/Vumatel in writing that its contract was not valid and was in violation of the Municipal Finance Management Act and the city's supply chain management policy. She notes City Power also requested a full mapping of all aerial fibre laid to date, as well as a plan from Fibrehoods to rectify the situation. After extensive engagement with City Power and JPC, Fibrehoods/Vumatel have not produced a mapping of their aerial fibre. "As it stands, Fibrehoods is engaged in litigation with the JRA. Despite the obvious connection between Altivex 705, Fibrehoods and Vumatel, both Fibrehoods and Vumatel plead ignorance of the illegality of their Altivex 705 contract, says Knott. She points out the City of Joburg is receiving no payment for aerial fibre from either of the companies in question, which constitutes unjustified enrichment on the part of Altivex 705. "This tangled web of intrigue has resulted in the city launching a full forensic investigation into the matter. The city official who is currently employed by the city will face immediate disciplinary action. In addition, criminal charges will be laid against both the current and former official. 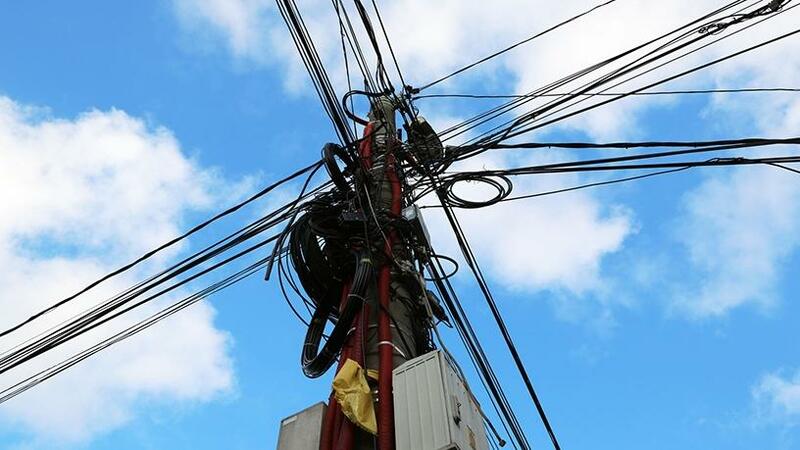 "This is a very serious matter, as it carries substantial consequences that, if left unchecked, could result in a monopoly on aerial fibre being created using city infrastructure. The executive mayor, councillor Herman Mashaba, is adamant that corruption in the city must be met head-on and those found wanting must face the full might of the law. This includes the private sector. "In light of this, the city intends taking further action based on the outcome and recommendations of the forensic investigation."